Last week we kicked off our new series of posts naming the best disc golf discs on the market. We chose our pick for the best distance driver, and today we will take a look at the fairway drivers. Like the distance drivers, there are lots of new fairway drivers for players to choose from. Do you just want someone to tell you which one is the best? Well, let’s try to answer that question today. 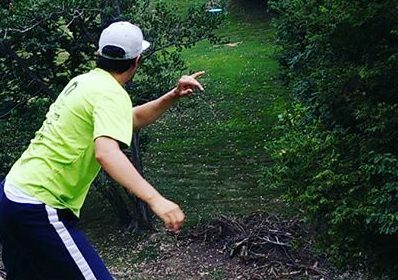 Before I list our nominees for The Infinite Discs Best Disc Golf Disc: Fairway Driver, let me break down what we are looking for in a fairway driver today. Like the distance drivers, our keywords for choosing nominees will be popularity and utility. We will select popular fairway drivers that can be utilized by disc golfers of all skill levels. This especially gets interesting for control/fairway drivers, because we see a larger spectrum of stability and uses for different types of control drivers. Just a reminder from our last post as well, we will avoid nominating similar discs from the same brand (think TeeBird and TeeBird3). So first, lets look at which fairway drivers have been the best sellers in 2018 so far. Innova has traditionally dominated the best sellers in the distance driver category, but in 2018 they have really made gains in the fairway drivers as well. But what is interesting to know is of the next 10 best sellers, only 2 of them are Innova discs. Nearly all brands have released a competitive selling fairway driver. The Latitude 64 Diamond is considered by many to be the beginner driver. This fairway driver is very understable and only comes in lighter weights. That combination makes it perfect for younger players or newer players who are still working on their form. Even more experienced players who like to throw at slower speeds have been able to put the Diamond to work for their game. The Escape was the first Fairway Driver made by Dynamic Discs, and it has been a staple of the lineup ever since. 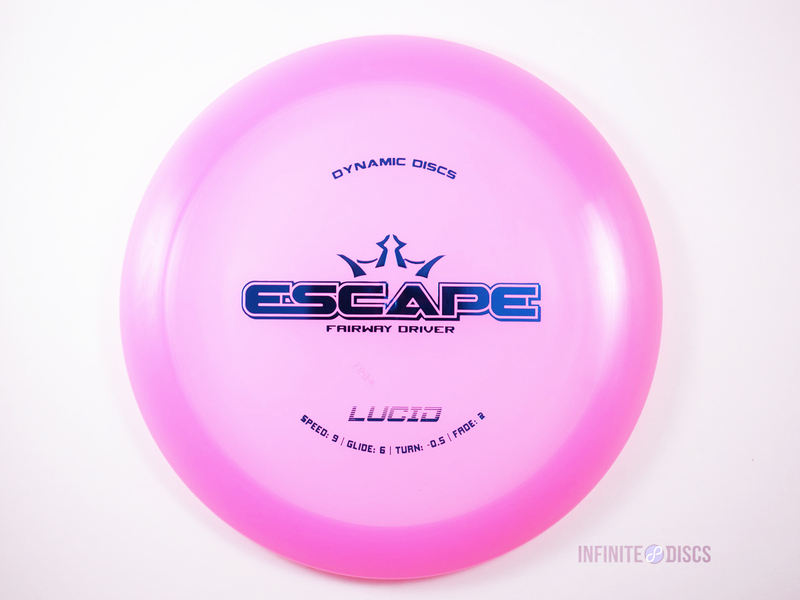 The Escape offers a pretty straight and neutral flight that can be used at all skill levels. The Escape gets a little more distance than some of the other fairway drivers nominated, and it is offered in a variety of DD’s plastic blends. The Discmania FD has been around for seven years now, but it has really just grown in popularity over the last 2 or 3 years. Many players consider this the slightly understable cousin of the Innova TeeBird. The FD is straight to understable with a glide rating of 6 that is no joke. The FD is a sneaky far disc with a flight pattern that can accommodate all skill levels. The Dynamic Discs Felon falls in the more overstable side of the fairway driver category. With a flatter profile and overstable flight, many would consider this disc a primarily forehand or flick disc, but more seasoned players can manage this disc throwing backhand as well. What sets the Felon apart is it isn’t a true “meathook.” This disc, when given the right power, will hold straight before delivering a reliable overstable fade at the end of the flight. The Innova Firebird‘s popularity has skyrocketed in recent years due to the Nate Sexton Glow Firebirds. But even before then, the Firebird was known as a reliable overstable fairway driver perfect for getting around a corner or when you needed a disc to hold up in the wind without turning over. The Firebird along with the Felon are probably the least beginner friendly of our nominees. We decided to list the Innova Leopard and Leopard3 together. If we were putting this list together last year, we probably would have just nominated the Leopard. But over the last year the Leopard3 has jumped way up on the sales charts and is becoming more and more mainstream. They are similar discs, with the Leopard3 offering a little more speed and stability. 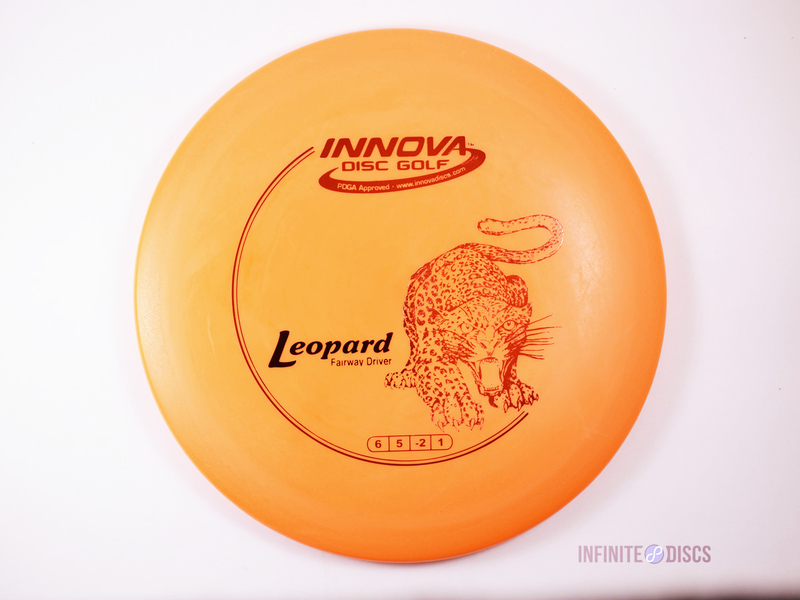 The Leopard is a very popular beginner’s disc, especially in DX plastic where it is inexpensive and offered in lighter weights. But both the Leopard and the Leopard3 have a flight that all throwers can find a use for. 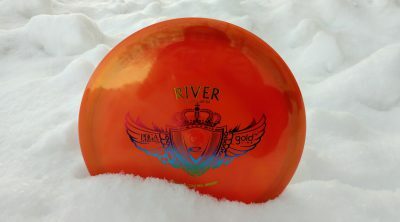 The Latitude 64 River has moved down the sales charts a bit over the last year, but it still is a very popular disc that has a unique mold and flight. The River is slightly bigger than most drivers, but it has a smaller rim and a slight dome. I personally don’t know the science of it, but the River has great glide that allows the disc to stay in the air for what seems like forever. This disc is a long, straight flyer that can accommodate all arm speeds. 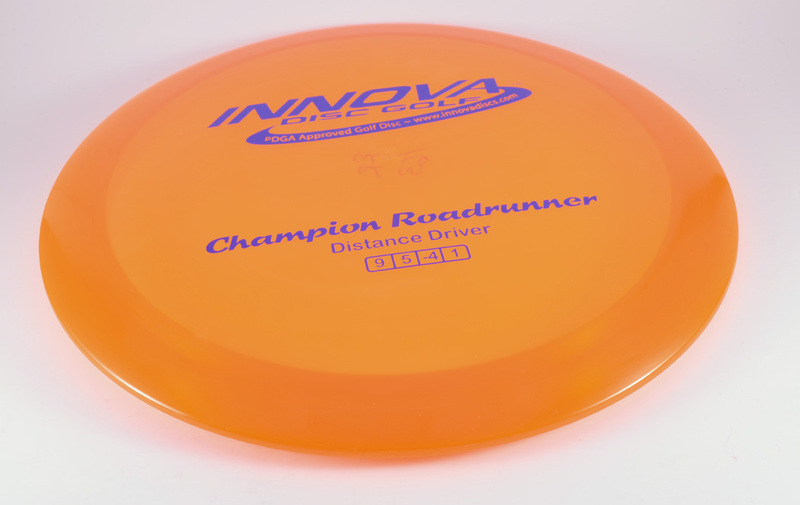 The Innova Roadrunner has been around for over 13 years, but it is experiencing a bit of a resurgence. It has always been a very popular understable disc that is great for beginners. But recently the Roadrunner is growing in popularity as a distance roller disc for more experienced players. That being said, bigger arms will still enjoy this disc for long understable air shots. The Innova TeeBird will turn 20 years old in 2019, and throughout that time it has been an extremely popular disc for players of all skill levels. It is in that sweet spot in stability where it isn’t too overstable for newer players, but it is overstable enough to handle big power from the pros. The TeeBird has a reliable flight and is available in a large variety of plastic blends and weights. The Innova Thunderbird is often described as being a faster TeeBird, offering a little more distance. And if you just go by the manufacturers flight ratings, that is exactly right. The higher speed makes this disc a little less beginner friendly, but is still very popular among all disc golfers. If you have found a shot that the TeeBird just comes up a bit short on, try a Thunderbird and you should be pretty close! MVP and their Gyro technology disrupted the disc golf world when they first hit the scene. At first they just offered putters and midranges, but at the end of 2012 they brought the overmold to the drivers with their release of the Volt. 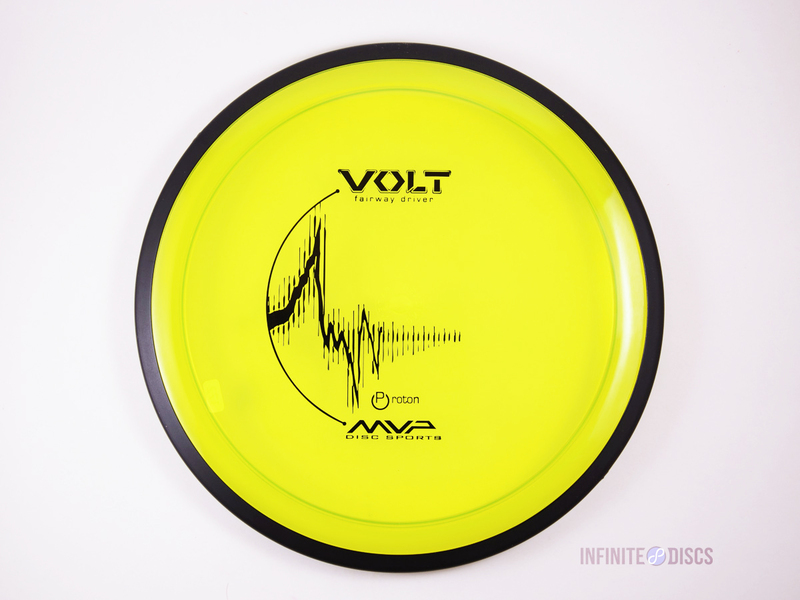 The Volt has continued to be one of MVP‘s best selling discs ever since. It is a straight to slightly overstable fairway driver that delivers a consistent flight pattern. We have quite a few more nominees for our fairway drivers than we had distance drivers, but like I mentioned, the fairway driver category covers more types of flights, so we felt that there were more discs that deserved nominations in this category. It is hard to make a case against the Innova TeeBird. The TeeBird has been the standard of the fairway driver category for years, and it offers a flight that can compliment the game of all skill levels of disc golfers. The TeeBird is available in a large variety of plastic blends and weights, so if you haven’t, check out the TeeBird today. What’s your favorite fairway driver? Share your opinion with the disc golf world by commenting below. As an intermediate DG’er, the Diamond gets me GREAT distance and control esp. Hyser flipping it in a tunnel. Great Disc! I like the Axiom Inspire for a lot of the fairway driver duties. For me, at my arm speed, it files with a slight turn and slight fade. Even slower arm speed should be able to get it to go straight, with faster arm speeds getting some good turnover/ flip lines. In a varied of weights and plastics, the Inspire can find a spot in many bags. Without a doubt, the TEEBIRD3 in Metalflake Champion! If I had to play with one disc, this would probably be it. On the heavier side for me, I have a 172 and would like to add a 175. I like this disc from both sides, BH and FH, but like to throw it FH a lot, and it will handle considerable torque without turning over. Slightly less glide, you can throw long low bullets, and as a placement driver I can still get it out to maybe 275 and the fade is minimal, but can be increased with some hyzer. It is not the best in the wind, but it doesn’t get eaten up by the wind either. It is just one of those discs that did exactly what I expected/hoped right out of the box. Extremely controllable, just about dead straight, almost driver distance, that you can dial down, change trajectory, and move both ways. Excellent for tight, small window, forest-y holes. One of the first discs I got when I started learning was a used Roadrunner. It has been through hell and back but it’s still in my bag, great disc. I’ve spent hours trying to get it back after losing it on blind throws and will definitely continue to do so. My main roller disc but also perfect for long anhyzers. I love it! The best fairway driver in my opinion has got to be the Discmania FD. Its so versatile. I throw the C line FD a lot during a round. I can hyzerflip it to flat, hyzerflip it to turn, throw it for big anhyzers, throw it on low line drives where I need a driver to hold straight. For me this is a do it all driver. It can handle some wind and a good amount of power. The FD is my go to driver in the woods or for when I need a shot to go 330′ dead straight. These fly like faster rocs. I play quite a few wooded courses and always reach for my Innova TL. I bag a max weight Glow and a 167g Star. The heavier one has no turn and a slightly harder fade. The lighter one has a bit of turn (-.5) and barely fades at all. If I can’t reach it with a Buzzz then it’s TL time. Saint, River, and Thunderbird are by far the most used discs for my arm. From understable to more stable, they give me a good range. The Saint probably gets used most, being in the middle of these 3. The felon has been my go to fairway for a while now. It’s just so reliably stable and predictable, and it’s super comfortable in the hand. Wind or no wind, inside 330, I’m more than likely reaching for a felon. I would have to say the most utilized fairway driver, as far as number of shots thrown per round, would be the 175g Sexton Firebird. Although, I feel like I should mention that I like to experiment with discs just for the heck of it, and have found that a 175g Fuzion Burst Felon has a nearly identical flight and is interchangeable. Both are fantastic for overstable approaches, whether it be backhand or forehand. However, my favorite fairway driver due to its incredibly straight and long flight with almost no fade, would have to be the 175g Discmania C-line CD2. I have thrown a lot of discs, but I have never encountered a disc able to be thrown this straight and far, that is also very torque resistant. I can throw this disc as hard as I can and it will not OVERturn. I have a lot of tunnel shots in the area where I play and can throw this 400ft dead straight on a frozen rope. Any shot where I have to throw over 350 without turning or fading, I’m throwing this disc. It even holds up in the wind really well.